Qualcomm is seeking to add the claims to a lawsuit first filed last year. The initial complaint alleged that Apple violated the terms of their contract, including by resisting Qualcomm's efforts to audit its compliance. Separately, Qualcomm has also accused Apple of violating its patents. Apple declined to comment on the new filing and referred the BBC to a statement issued in June last year. 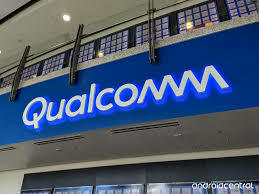 Qualcomm supplies "us with a single connectivity component, but for years have been demanding a percentage of the total cost of our products - effectively taxing Apple's innovation", Apple said then. "We believe deeply in the value of intellectual property but we shouldn't have to pay them for technology breakthroughs they have nothing to do with. We've always been willing to pay a fair rate for standard technology used in our products and since they've refused to negotiate reasonable terms we're asking the courts for help," Apple added. The complaint extends the long-running battle between the two technology giants, which has also attracted interest from regulators in the US, Europe and elsewhere. In 2016, regulators in South Korea fined Qualcomm for violating the country's competition laws. The US Federal Trade Commission, a consumer and competition watchdog, has also argued that Qualcomm's approach to licensing technology, which includes the demand for royalty payments, harms competition.